It's been a month since my last departure from London and I haven't written any single post in this blog since New Year. Too much stuff's going on and I couldn't think or write properly. I even had this kind of anxiety and lost my confidence so that I told my friend I was no longer able to write. In fact, I have one upcoming article must be done. No deadline but it's my responsibility since I said yes to write it at the first place. I know this might sound as an excuse but I did have no time to write, to think, or to brain storm about what should I post? Which part should I start? When will I work on the article and et cetera. Then my friend suggested me to write anything that I had done in one day, just like a diary. At first, I couldn't figure out why did I act like that? Why was I so absorbed in despair and unconfident. Later on I realised that perhaps I left myself in UK. So, how am I? If you asked me, "How are you?" I probably answer that I'm fine. Contrary to my answer, I'm not fine. I don't feel anything is right when I return to Indonesia just because I still left some parts of me in UK. I haven't gained total consciousness yet, I'm still trying to adjust myself to be Indonesian again. I can feel the cold winter breeze and the rain of London even though now I'm staying in my room in Malang. The movement of the double decker red buses still buzzing in my mind and I can't even forget the yellow leaves which fell during the autumn. I remember the night I walked through pedestrian way after work or when I stopped by Atherton Leisure Center and took walk back to buy Kinder Bueno and ready-to-go chicken curry Sainsburry's when I lived in McGrath Road. I also remember the feeling of sitting on the second deck of bus 25 which get me to the uni. How memorable. For few weeks, I've been staying in my friend's house in Depok. Some days I went to Jakarta by KRL and it actually reminded me a lot about taking the tube in London. 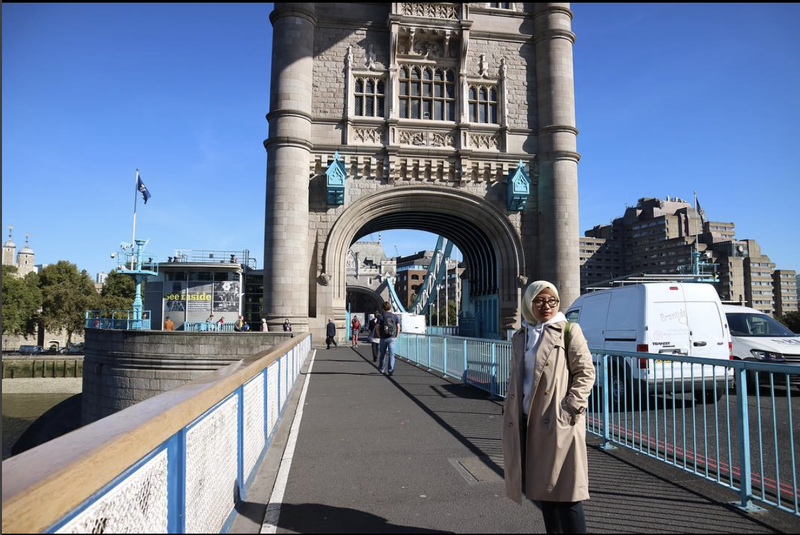 During my first departure to Jakarta, I couldn't stop comparing Jakarta to London and complained almost about everything. When I was taking KRL for example, I couldn't stand the barbaric behaviour of the passenger who pushed out another passengers, the overpacked trains, the unconsciousness to let passengers out first. I even complained about the commuter card which is used as payment method. It's similar to Oyster card but it's just not integrated. Took me a while to finally adjusting to Indonesian's way of commute. Now, when my mom and my sister have fallen asleep I'm thinking and reminiscing the time when I took the tube from Stratford station. When I used the vending machine that was literally everywhere and easy to use. I remember how my friend keep suggesting me to just buy travel card instead of topping up my Oyster card. I also remember the first time we met on Stratford station, I was holding Camino Island to read and he held a cup of coffee he just bought from Pret a Manger close to Stratford station. I remember how excited I was when I first arrived there holding two luggages and being helped by Valentina. It's going to be District Line's 150 years anniversary and it got me more emotional. I developed interest into public transportation, especially trains and underground's route when I was in London. Never had I ever took public transportation if it's not urgent back in home, I would prefer taking plane rather than trains in Indonesia. Since I arrived in London, I fell in love with trains, tube, trying to understand its route, trying to find a way home or a place without city mapper. I love London to the point that I don't want to live anywhere in Indonesia anymore. Because I actually realised that London is the most suitable city for my personality apart from its crazily expensive living cost. For this past month, I felt upset. Furthermore when I am home, it doesn't feel like home anymore. I'm not satisfied with it. My parents, my friends, almost everyone criticises me. They said that I've changed and that I think like a Westerner. I don't know if it's a good sign or a bad sign. Personally, I love my self better than before. 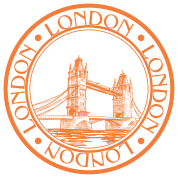 London has changed me to be more open and positive, not too ambitious, and more independent. Knowing that my parents and friends think that was wrong made me sad. I already told Kero about this, that I got anxious of going home because once again I have to deal with negativity. "I'm afraid that my parents or friends couldn't accept who I am post-London." and my anxiety turned out to be true. I understand that sometimes I overdid it, perhaps the people around me aren't prepared to deal with the new me. Perhaps I just have to smoothen my transformation so it becomes acceptable. For example, I often do code switching since I speak in three language (English, Javanese, Bahasa) and my friend couldn't accept it. Or sometimes I compared the technology and the custom to one I've experienced in London. Honestly, I don't mean to brag but I just want to keep the positivity to my self. It took me years to finally change into a positive person and I don't want to easily lost it once I return. I admit that I become more ignorant, especially when dealing with social situation. I did that because I've had enough and I've met great people that no longer care about personal matter. It's different in Indonesia, we still have to consider what others think. I'm afraid that once I adjust myself I will lost my ignorance to personal matter. In this part, I want to remind my self about how I lived in London and survive the hardships. I want to be someone new, someone better, someone who finally has a supportive environment. I feel empty when I live in Malang because the pace is too slow, I felt like 24 hours did not sufficient whilst I was in London. I kept doing things, I met people, I gained knowledge, I made something. Here I left with nothing to do, once I want to engage in positive activity my parents restrained me to do so. My parents complained, scolded me, complained again, and that made me want to leave home as soon as I can. I love being free and I love being my self currently. I miss London so much right now, I miss the cloudy weather, the 15 degrees default cold, the Sainsburry's and Tesco, the poundsterling, the buses, the tube, the people, the British accent. Every time I scroll my Instagram explorer, I want to transport my body and soul back to London. I miss having an amazing K-BBQ with just £10, I miss Eat Tokyo, I miss Van Hing, I miss Coco the bubble tea, I miss £3 two double cheeseburger, I miss Nero's hot chocolate, I miss Old Street, I miss Oxford Circus, I miss Tottenham Court Road, I miss King's Cross, I miss my small room in Leytonstone, I miss my old room in McGrath Road, I miss Mile End, I miss my friends, I miss riding the train from London to another city of UK. I miss everything that I left in London. I miss London's traffic that is less hell than I had in Malang or Jakarta. I practically miss everything and I couldn't afford to forget it. So, if you ask me how am I right now? I'm struggling to adjust my self post-London. I will try as much as I could to become Indonesian but better since I have been lived in London. But I also will put much effort to go back to London and live there for the rest of my life or until I retire. Why London? Because London is me and London has transformed me to who I am right now.